This week we have done server maintenance and changed the Brawl of the Week! Try your best in Ghost Brawl 1v1! We also changed items on sale in Mallhalla, reset missions, server fixes, achievement fixes and for her first time ever Lin Fei is on the new Legend rotation. 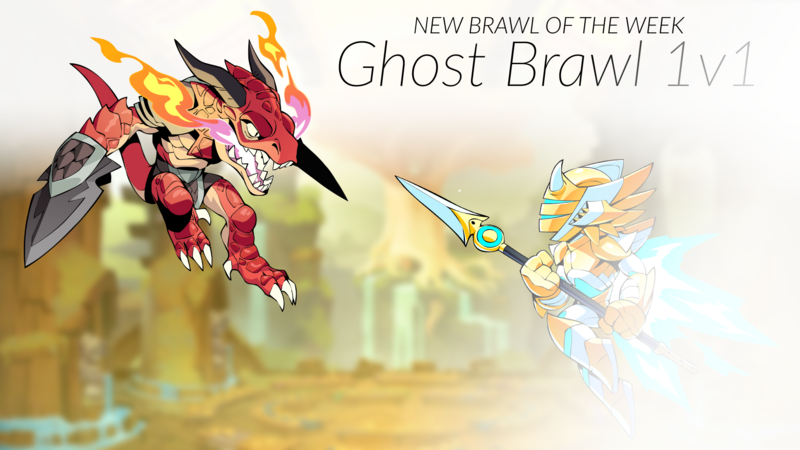 Brawl of the Week – Ghost Brawl 1v1! Fixed an issue that caused some players to not correctly receive the trophy “Let’s Do This Again Next Week” after successfully completing the requirements. 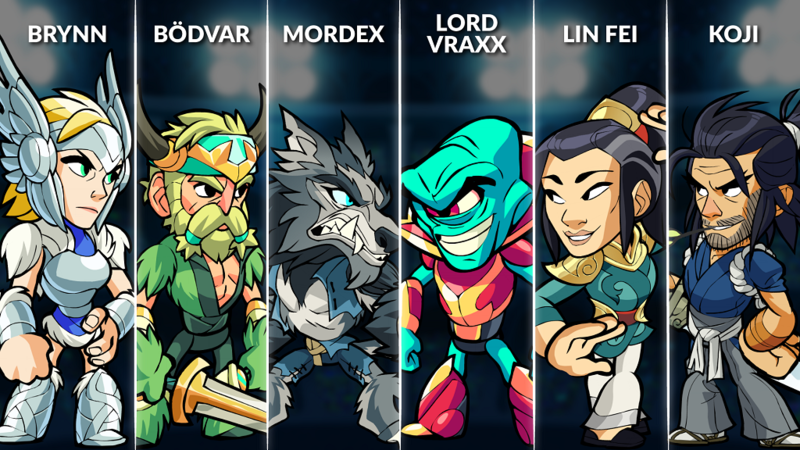 The new Legend rotation for this week includes: Bödvar, Lord Vraxx, Brynn, Koji, Mordex and Lin Fei! Koji – Armed with his ancestral katana, Koji slices his way through the battlefield with Sword and Bow! Lin Fei – Lin Fei, making her debut on the new Legend Rotation, is a defender of the innocent and teacher of the lost ways. She is a great teacher who has developed her own fighting style, the ‘Way of the Iron Dragon,’ which utilizes her Cannon, Katars and an ancestral dragon-spirit.